So many “MCs” on the hustle nowadays … it’s a daunting task to filter through the riffraff and find the diamonds in the rough worth following. Rest assured though, that those diamonds do indeed exist: enter Alex Ludovico. Hey. I’m Alex Ludovico, a MC from Chicago (by way of Gary, IN). 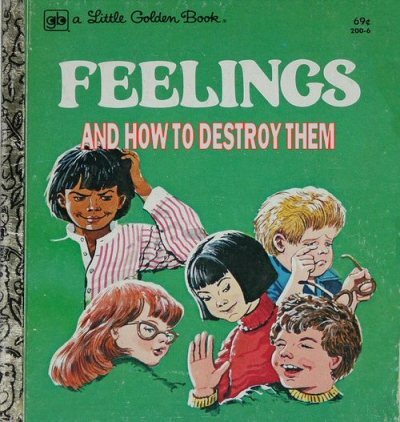 I’m submitting my newest album. It’s entitled The Reawakening. It’s a 10 song sprint through my psyche, with production from Blurry Drones (Douglas Martin of Fresh Cherries From Yakima/5 O’Clock Shadowboxers), D, Wildlife Production, and JD (relative younger producers all from Chicago), along with a few stolen tracks I kicked verses over. I hope that you get the chance to take a listen and notice something you like about it. Manners matter to me, but mad flow matters a bit more in the game – Mr. Ludovico doesn’t disappoint with The Reawakening. The Reawakening is a classic clash between titans: “Alex is the dark side, personified evil/Ludovico is the good, uplift the people.” Like yin and yang, the dark and good are distinct but dabble in one another’s tracks; like right and wrong, the dark and good walk a fine line and the black and white become grey; but like true “dark” and “good,” both inevitably balance each other out and it makes for a dead-on debut for this man from the Midwest. Sonically, the album starts off banging (personally, my mind jumped straight to Baltimore club scene) then switches gears and eases into a more classic downtempo vibe. Sequencing is often overlooked, but when it isn’t the product is rarely sub-par: The Reawakening is proof. I’m Here Droogs to The Asphalt Jungle is prime time percolating club music. Right Cross is just that, the bridge from the club to the couch. Roaring 20s starts off the steady post-game music – you know the kind that has you rhythm-riding and head-bobbing the second the beat drops. The album eases on down the reawakened road, as Ludovico rhymes – at times showcasing a more toned-down flow – between vintage beats and vinyl overtones from 20s through the last track, 100 Milligrams. Lyrically, the boy is banana sandwiches. His vocal mode is drenched in battle rap and freestyle; his emphasis is remnant of the Slim Shady LP/Marshall Mathers LP – literally spitting lines. Continuing in the Eminem vein, Alex and Ludovico go “back and forth all day like Red and Meth” (and though he may or may not concur, he jokes when he says the best, “in the booth/but a lot of truth is said in jest”). In my humble opinion, the lyrical dark side is the first half (sans the intro): fun, witty, tongue-in-cheek, heavy on the club commentary, very “night out”-esque. I’d argue the lyrical “Alex” persona is the dark side because – even though the timbre is hard – the content is lighter. The post-Right Cross tracks are where Ludovico comes in to lyrically uplift the people. His tone may mellow out at times, but what he says resonates louder when not drowned out by how loudly he says it. I could be wrong though, after all Kanye said “They say I speak with so much emphasis/oooh they so sensitive;” either way, A. Ludo’s definitely got the Midwest on lock. All this is to say: check out The Reawakening; it’s worth the listen – and he’s “by way of Gary, IN,” which means he’s practically the Jackson 6th. Watch this space: The Battle – some may call the rookie’s flow unseasoned and unprepared, I call it raw. Pop culture and politics continue to make for an intriguing set of bedfellows. I was watching Living Single and Max “The Maverick” Shaw made 1996 sound an awful lot like Fall 2008. Whether from Brooklyn, Arizona, or Alaska, a maverick is a maverick is a maverick; and they all speak the same language. Quick commie post — sharing = caring … Free music — free legal music. Coldplay today released their highly anticipated free live album Left Right Left Right Left … so, have at it. So I’m spring cleaning in prep for graduation/22nd bday weekend, and iTunes/iPod compiled quite a brilliant playlist I must say – although it’s not too tough a task with my exceptionally brilliant library, but that’s neither here nor there. Point is: in the midst of the final days of my undergrad career, I’m throwing back to my music mode from the first days of my high school career. Hands down the soundtrack of my Summer/Fall 2001 was Aaliyah‘s Aaliyah. Timbaland and Static integrated electronic, r&b, industrial, jazz, pop, latin, and hip-hop to produce a futuristic urban pop album – easily one of the best of the era. The Re-Branding of America: So, how old does that make Snoopy? So, we’re going to try this one more time. Woodstock: it could happen, right? So after 40 years of wandering across the socio-political desert — polyester, Reaganomics, iLife — we end up in an oddly familiar stretch of promised land: Woodstock. I’ll avoid — for now — the litany of parallels dawning America’s cultural re-renaissance. And let the theoretical minds explode with thematic narratives of young America’s recent treks and time travels. In 1969 the youth faced war, injustice, and it’s own grim reflection for the first time; at Woodstock Jimi’s guitar gently weeped on behalf of a generation. 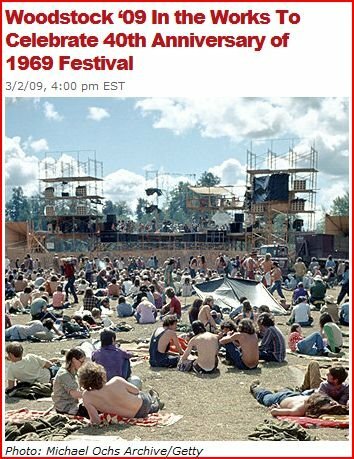 40 years later the youth face war, poverty, and another reunion with a falsified sense of self; I hope this Woodstock sees more than just a trail of tween tears at the base of a Jonas guitar. We’ve been through so much as a country and as a generation, but at the end of the day have we learned anything? Music is the pulse and soul of a culture. I’m hoping some artists come out from behind the AutoTune and ProTools, because from the looks of it we’re running on a pacemaker — yeah it gets the job done, but it’s still no heart.